Air Conditioning Services San Bernardino | Design Air Inc.
We’re experts in all aspects of HVAC (heating, ventilating, and air conditioning) installation, repair, and maintenance. For energy-efficient upgrades we can even point you to financing opportunities. There’s no need to suffer for days waiting for a repair, or put up with inadequate heating and cooling year after year. With one call to Design Air we’ll promptly and professionally take care of that, at affordable prices. Family owned and operated, Design Air was founded by a husband and wife team dedicated to doing what’s right for customers as our way to business success. After over a decade in business, we know what works! You may have heard us recommended on “Shopping with Bev” on KCAA 1050 AM. 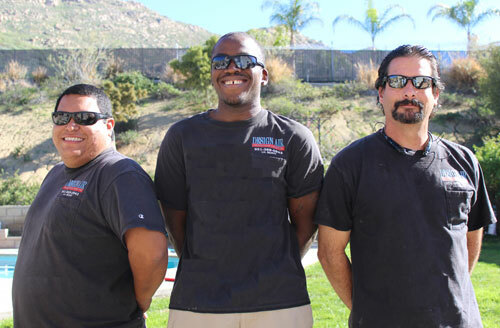 Everyone at our company is dedicated to top-quality workmanship, materials, and equipment. 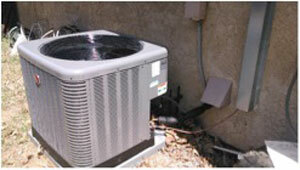 We are a Rheem Top Contractor, we can install other leading brands, and service all major brands. We also strive to always provide quick and dependable services at competitive prices with friendly customer services. For residential and commercial HVAC repairs, our customers appreciate how our fleet of well-stocked trucks means that we’ll be there promptly, when we say we will, and can usually take care of air conditioning service and heater repairs in a single visit. Our well-trained and experienced technicians really know what they’re doing, and will perform a thorough and accurate diagnosis and then go straight to the problem for quick and efficient repairs. We charge by the job, not by the hour. You pay only for necessary repairs, and there’s never any overtime charges. Sometimes equipment simply gets too old and unreliable and needs to be replaced., or you may need to upgrade the capacity or even bring a your system up to code after a sale or purchase. As a full-service heating and cooling contractor, Design Air is well qualified for HVAC system replacements, upgrades, and new installations. We recognize the competing choices of economy models for low initial costs, premium models for longer lifetimes and lower repair costs, and the latest high-efficiency models to minimize energy costs and reduce the impact of rate hikes. We’ll help you decide on the priorities and balance that’s right for you, and calculate the right capacity so that you have plenty of heating and cooling without the cost and inefficiencies of oversized units. Once your heater or air conditioner is working again, you’ll want to keep it that way. Scheduled heater and air conditioning maintenance keeps your HVAC performing at its best, providing all the heating and cooling you need while saving energy and avoiding disruptions. Preventive heating and air conditioning service also prolongs equipment lifetime; with regular maintenance equipment should last 10 to 20 years with minimal repairs and will operate more efficiently and more reliably. You’ll save money in the long run. Beyond years of experience, our technicians have manufacturers’ checklists for just about every make and model. That leads us to dozens of check points, tests and adjustments, scheduled part replacements, and services such as cleaning and lubricating specific items. Our standard packages are usually perfect for homeowners, and we’re happy to arrange custom year-round heating and air conditioning maintenance programs for commercial facilities. 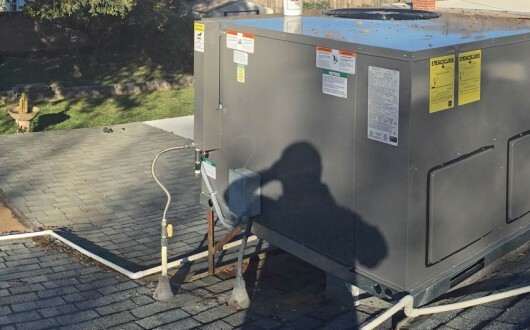 As a full-service HVAC installation contractor we can deliver full systems, including air handlers, duct work, registers and grills, plus thermostats and control systems. We’re also experts for electronic and UV (ultra-violet) air cleaners for improved indoor air quality in the San Bernardino area. 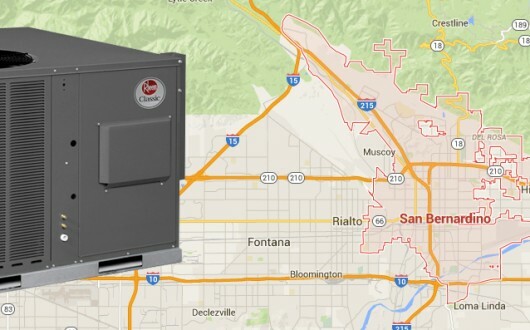 San Bernardino residents and businesses are eligible for the HERO Financing Program that covers certain qualifying energy-efficiency improvements, including heating and air conditioning equipment. This program offers 5 to 15 year terms with tax-deductible interest. The loan financing is paid via property tax payments and can be transferred if the property is sold. We’ll be happy to advise you regarding qualifying options for your home or business. Whatever your heating and cooling needs, give Design Air a call. We deliver the best in technical excellence, prompt and reliable service, friendly customer service, and affordable pricing. 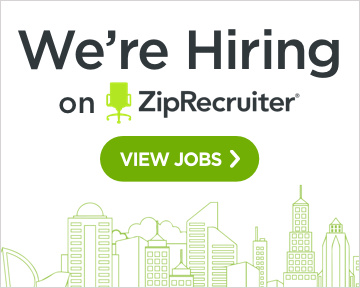 We’re pleased to be headquartered near San Bernardino’s population of 213,708 residents (and growing) and thousands of businesses. You may not know it, but the city is home to consulates from Mexico and Guatemala. We’re probably better known as the location of Norton Air Force Base and the very first McDonald’s. San Bernardino is also home to several theatrical, motorcycle, and sports events. Special Note: Despite being known for its aquifers, high water table, and numerous springs and hot springs, we need to make severe cuts in water usage now (2015) to avoid further depletion. Summary: We had a complete replacement of our air condition and heating system by Design Air. 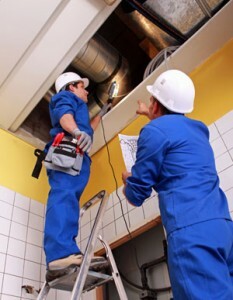 Description: We had a complete replacement of our air condition and heating system by Design Air. They were fast, professional, efficient, and did a great job!!! We highly recommend them! !